Ana Shields is a Principal in the Long Island, New York, office of Jackson Lewis P.C. 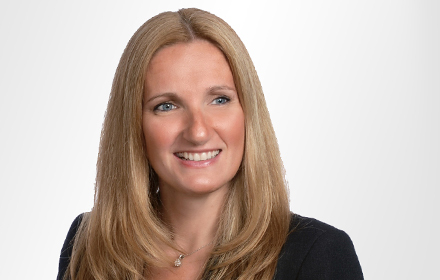 Since joining Jackson Lewis in June 2005, she has practiced exclusively in employment law and has been involved in proceedings before federal and state courts, the American Arbitration Association and administrative agencies. Ms. Shields has successfully prepared pleadings, motions, memoranda of law, position statements and legal opinions related to employment law issues such as employment discrimination, harassment, retaliation, whistle-blowing claims and restrictive covenants. Ms. Shields has advised clients on compliance with various state and federal laws affecting the workplace, including Title VII, the Equal Pay Act, Fair Labor Standards Act, Family and Medical Leave Act, Americans with Disabilities Act, Age Discrimination in Employment Act and New York State and City laws. In addition, she is a firm resource for Electronic Discovery. She has worked closely with clients through all phases of litigation including investigations, preparations for depositions, attending depositions and trials. While attending law school, Ms. Shields was a published member of the New York International Law Review. She was the recipient of the 2003 American Bar Association/Bureau of National Affairs Award for Excellence in Labor and Employment Law. She was also awarded the CALI Award for Excellence in Employment Law, Advanced Labor Law, and Jurisprudence. Prior to joining the firm, Ms. Shields was a commercial litigation associate at a firm in Long Island, New York. Victoria Woodin Chavey and Ana Shields Author "Pay Equity Litigation Trends"